Enjoy sailing in the Sporades islands. 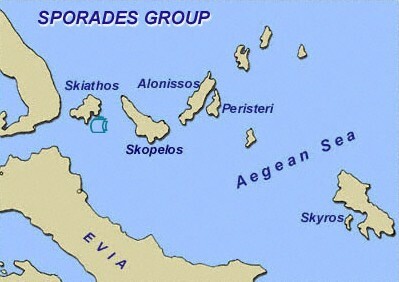 Across the eastern coast of the mainland there is the group of the Sporades Islands. Skiathos, Skopelos, Alonissos, Kyra-Panaghia, Peristera and Skyros offer beautiful sandy beaches, green covered hills and mild weather conditions. Skiathos, the most famous between them, is accessible by plane, connected with several European airports and all the islands are easily reached by ferry and hover craft. You can rent a boat in Skiathos and start your cruise from there. In this area the sailor will enjoy a smooth sailing with light to moderate winds and short passages between the islands. Suggested itinerary for one-week charter from Skiathos: Skiathos, Alonissos, Pelagonissi, Skyros, Scopelos, Skiathos or Skiathos, Skopelos, Alonissos, Kyrapanagia, Zagora, Koukounaries, Skiathos.